David Long, motoring ghost writer, motoring editor of 'Mayfair' magazine and contributor to The Sunday Times, Sunday People and London Evening Standard, has compse the ideal holiday read for car enthusiasts to re-charge their memory banks. 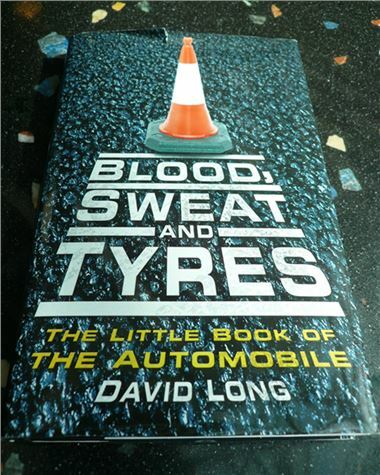 'Blood, Sweat and Tyres' is derived from David's experience of more than 2,000 different cars, starting with a Ferrari V12 in 1984 and progressing downwards ever since. His book contains all the information necessary to compile at least 100 motoring based pub quizzes, with some clever traps for the unwary. The ISBN is 978-0-7524-5488-7 . Price £9.99 (negotiable).